OK, so this year you have been working hard on engaging with social media in its various forms – boosting your on-line brand, posting insights, making new connections, joining groups etc. etc. Probably you learnt a lot too by reading some good content. As the holiday season approaches, our advice is to CTRL+ALT+DELETE from social media and instead, pick up a good book. If the self-development sales beast inside is still calling you, try one of these 5 great sales specific books for an enriching holiday read. This is probably the first text on what is a very new field: How sales and marketeers can use the 5 senses to influence buying behaviour. Using evidenced based research, the author gives us an emerging view of how we can broaden our sales approach by a better understanding of how humans are influenced by our senses. Whilst a lot of the book is retail / B2C focused, this is a tour de force of consumer influence which is equally applicable to B2B selling. We use the ideas for product presentation / product choice a lot in our sales DNA programmes. This book is both informative and practical in its application. And a visit to the shop will never be the same again! Not many sales books do a good job of deconstructing the actual face to face part of selling well. This book does, in a very pragmatic way. It is also strong on how to qualify opportunities. Furthermore, it is a very easy book to read. 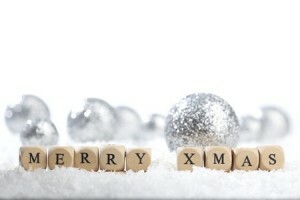 You could start it on Boxing Day and finish it well before New Year’s eve, with still plenty of time for your family. 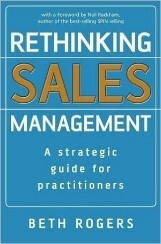 This book does a great job of blending insights from how buyers with how sellers should sell. It offers an original perspective on how to organize sales efforts, and in some ways is like “The Old Curiosity Shop,” in that you might just find an invaluable nugget in here which is not covered by mainstream sales books. Not strictly a sales book, nonetheless, the thinking behind it forms a core part of our sales behavior change programmes. 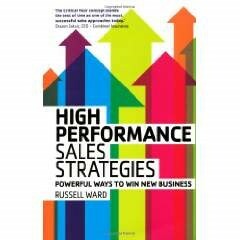 For any sales managers who have been frustrated at getting sales people to do certain key steps in a sales process, this book is invaluable. 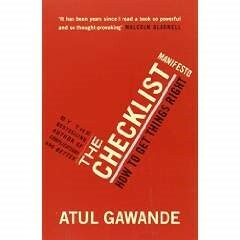 Written by an eminent surgeon, it’s claim to fame is saving countless lives worldwide by the implementation of checklists in operating theatres: Good enough for sales? Yes, definitely! Happy Christmas from all of us at Selling Interactions, and don’t forget to rest and recover before targets start from zero again in 2016! « How is sales seen as a career? MBAs surveyed.